School “Zero Lice/Nit” Policies: Justified or an Overreaction? 25 Oct School “Zero Lice/Nit” Policies: Justified or an Overreaction? Many school districts around the country adhere to a strict zero-tolerance or “no nit” policy when lice and their nits are found to be present in the heads of even a few students. At this point, many of these schools encourage families with children who are so affected to stay at home until they are free from these prolific little pests. As part of our business, we frequently visit schools and know the panic that finding lice can cause among parents and educators. Let’s take a look at the controversy as to whether or not this zero-tolerance or “no nit” policy helps to protect children and reduces outbreaks. The rational of “no nit” or zero-tolerance policies is simple. 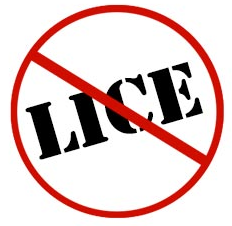 Remove children who have lice from the school to avoid an outbreak that could reach other children (and adults). Another rational for implementing such policies is that it forces parents to take responsibility for their children in such circumstances. However logical this approach may be, many professionals are now questioning “no-nit” or zero-tolerance policies. One such organization is the American Academy of Pediatrics. They argue that since lice are not a major health hazard, children should not be keep from attending school. They also question the effectiveness of such methods. In supporting this idea, they point to studies that show that “no-nit” policies have virtually no effect at containing lice outbreaks. A better option for fighting lice and the nits they leave behind is to attack them at the source. We are ready to do so at our salon or at your school via our mobile van. Education is also a far superior tool for fighting back against lice. For example, many people may not know that the lice problem has grown nationally not because children have not been kept out of school when lice are found but it has grown because lice have become resistant to certain over-the-counter medications. In the end, finding lice and/or their nits in your child’s head or your own is a cause for concern not panic. There is a difference. People who are panicked can sometimes fail to act rationally. People who are concerned about a given problem are better able to take the appropriate steps to work towards a solution. This is why we urge parents and school administrators to stay calm when and if lice are found. Know that there are natural head lice products that do work and that will remove head lice permanently. We do this for our customers on a daily basis and can fight lice with you.